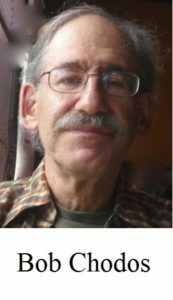 The late Trinidadian economist Lloyd Best made the point that the word constitution refers to a lot more than a document. It is about the way a society holds itself together and how it is governed. Therefore, many issues that aren’t normally thought of as “constitutional issues” have constitutional implications. This issue of the Institute for Responsible Government newsletter touches on a number of those issues. The legalization of marijuana, for example: What is the Senate’s role? Or the growing influence of social media: What does it portend for our traditional institutions? 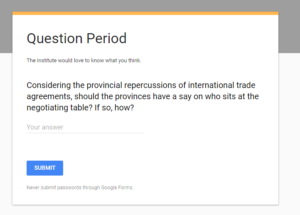 And how about international trade negotiations: Should the provinces be at the table? And let’s not forget interprovincial trade: Are there precedents for the current conflict between Alberta and British Columbia? 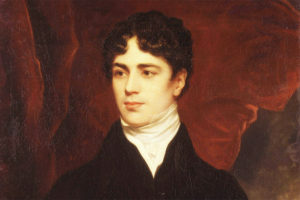 You’ll also find an account of why human beings had to create state institutions in the first place; a link to some of the key sections of one of Canada’s foundational documents, Lord Durham’s report of 1838; and a report on the Institute’s activities. As always, we invite your comments on anything you read here. Sparking discussion is what the Institute is all about. Do senators know what the role of the Senate is? On March 22, the Senate approved the government’s marijuana legalization bill, Bill C-45, on second reading (approval in principle), by a vote of 44 to 29. Although the margin of victory was substantial, the outcome of the vote was not predetermined because a plurality of senators sit as independents, not subject to party discipline. The week before the vote, Le Devoir published an article by André Pratte, himself an independent senator, arguing that quite apart of the merits of the legislation, it was not the cosntitutional role of the Senate to block or unduly delay the government’s bill. Pratte cited the Salisbury Convention, inherited from the British House of Lords, according to which the upper house should not put any obstacle in the way of a bill that fulfils a government election promise. Its role should be limited to studying the bill, holding hearings and suggesting improvements if any are needed. You cite the “Salisbury Convention” inherited from the House of Lords to justify the submission of the Senate to the will of the House of Commons. But the House of Lords is a relic of the English feudal era instituted to allow a single legislature to govern Scotland, Wales, Northern Ireland and England in common without local distinction. The Senate was designed in Canada to represent and protect the interests of the provinces in the general government of their federation. That is why you are one of the 24 senators appointed to represent the Province of Quebec in the Senate. Mr. Trudeau promised to legalize cannabis, but he did not set a deadline to implement the policy. Quebec would like to delay its implementation to better manage the transition. Other provinces have equally legitimate concerns that were never addressed in the Liberal campaign. With all respect, Mr. Pratte, your duty and duty of all senators, I believe, requires that you negotiate the implementation of this law in cooperation with your principals. If you are wondering why the Senate does not have the legitimacy to fully participate in the legislative process of our federal government, ask yourself: Where does the Prime Minister of Canada obtain the authority to advise the Governor General who is fit to represent the provinces in the Senate? Social networks offer room for disagreement and an infinite range of views. They help families, business partners and office co-workers keep in touch. They quickly provide information on tragedies at the far end of the world as well as plenty of misinformation. 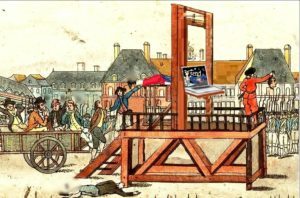 Like a huge public square where executions are conducted by the guillotine, they are used in international mass movements such as #MeToo, a trend reflecting the growing need for a form of justice closer to the ordinary citizen, more understandable, more basic, cheaper and faster. Something that lies beyond doubt is the level of dissemination and relevance these media have achieved. Freedom of opinion has never been as great. We all have access to the power to help shape mass opinion, which until recently was reserved for media such as radio, television and newspapers. The process that makes the data public is no longer unidirectional. It is becoming participatory. Social networks exercising a form of justice, constitute a torrent of views and content in a single voice, with no jury or defence. This administration of justice is unconstrained by constitutional accountability since social networks are not connected to government. Social networks give everyone the chance to make their demands public without having to resort to any traditional means of communication and without needing to go through procedures or filters. Publication depends only on the person endeavouring to promote it within social sectors. Who can ensure the fairness of a “legal process” on social networks? This is one of many unanswered questions. Citizens no longer have confidence in democratically established institutions. Maybe this radical detachment from these traditional institutions heralds the search for a change in the structure of the State to ensure better governance, a more just and accountable government? Lord Durham’s Report abridged with more context to highlight constitutional defects and recommendations. Lord Durham’s Report abridged to highlight constitutional defects and recommendations. Interview with Dr. Thomas Bateman. Dr. Bateman explains the interprovincial trade barriers and the Comeau Case. Over the spring and summer, the Institute’s work of creating awareness of and interest in questions relating to Responsible Government is proceeding on several fronts. As previously announced, Institute President Vincent Pouliot will be presenting a paper at the Congress of the Humanities and Social Sciences at the University of Regina. Entitled “Federalism Through Parliament in Accordance with the Constitution Act 1867,” the paper will be delivered as part of a session that begins at 8:45 a.m. on May 30 in the Classroom Building, room CL-232. On their way to Regina, Vincent and Institute Organizational Director Marina Cabrera will be stopping in a number of university cities: Kingston (May 23–24), Sudbury (May 24–25), Thunder Bay (May 26–27) and Winnipeg (May 27–28). They will be in Regina from May 28 to June 2, and then on the way back will be passing through Windsor, Hamilton, London, Waterloo, Toronto and Peterborough — dates to be determined. Vincent and Marina would love to meet with people interested in the Institute’s work both in Regina and in the cities they will be passing through on their way to and from the Congress. If you will be at the Congress, or are in any of the cities on their itinerary, and would like to discuss Responsible Government and constitutional issues with Vincent and Marina, please let us know at info@iorg.ca. Meanwhile, Vincent has been working on his book about how Responsible Government was achieved in Canada, how it was thwarted at Confederation and how it can be restored. The aim is to have a complete manuscript ready by September. We are also working on upgrading the Institute’s website (iorg.ca) so that it can be the forum for the kind of debate on issues related to Responsible Government that the Institute aims to foster.. Copyright © 2018, iorg.ca, All rights reserved. © 2019 THE INSTITUTE OF RESPONSIBLE GOVERNMENT. ALL RIGHTS RESERVED.